There will be plenty to see and do the weekend that RAGBRAI shoves off from Sioux City. From music and local destinations, here’s a list of things to see and do. Collective Soul: This legendary 90s rock band will perform Friday night at the Hard Rock Hotel & Casino Sioux City’s outdoor venue. The band, whose hits include “Shine,” “Heavy” and “Gel” brings an energy-filled set to the stage. Presented by our Welcoming Sponsor. Dishwalla opens. More info. Jimbo Mathis & the Tri-State Coalition: On Friday, July 17th, this Mississippi born and bred musician brings Southern blues, soul and roots music to the Fridays on the Promenade stage on historic 4th Street. Admission $3. More info. 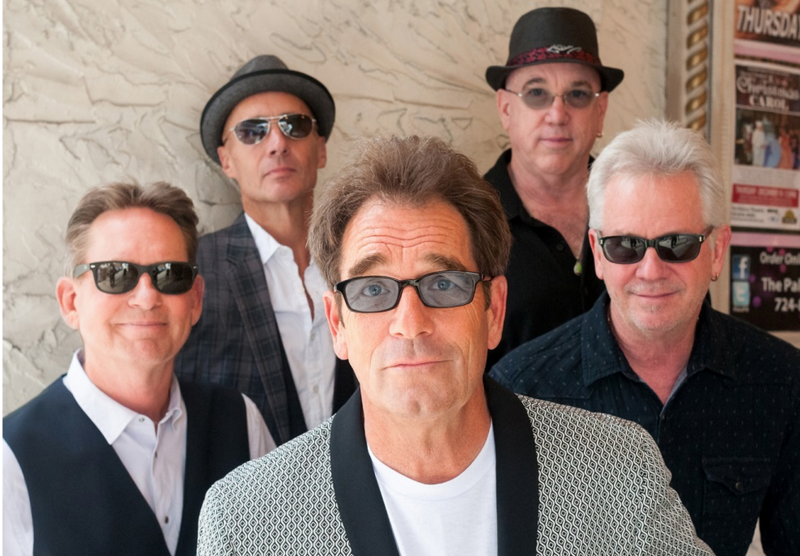 Huey Lewis and The News: These legendary musicians will be the featured entertainment on Saturday, July 18, in the Tyson Event Center parking lots. Huey and company have dozens of hits, and have sold an estimated 30 million records worldwide. More here. Lawn chairs are permissible into the ticketed space. However, please note, most of the concert patrons will be standing, and seated patrons may have an obstructed view. The Tyson Events Center parking lot will also be home to the RAGBRAI Expo from noon until 9 p.m. on Saturday, July 18th. The Expo will include demo rides from some of the leaders in the cycling industry; the latest in gear, accessories and bike tourism from top manufacturers and businesses in the industry; and last minute bike repairs and equipment. Other attractions: Sioux City has a number of attractions for visitors – from the Sioux City Art Center to the Public Museum and monuments. More here. Could you please give details for the Huey Lewis and the News concert. What time does the gate open? Can we bring chairs or anything in to the event? Thanks! The night’s music starts at 7:30 and Huey Lewis will perform around 8 p.m.
Is there somewhere with additional details about the Huey Lewis concert? I also would like to know if you can/should bring chairs and if it’s okay to bring a cooler or water into the event. Thanks! You cannot bring in coolers, but you may bring in a chair, but there is no seating during the concert, so many people will stand up. Where is the best place for parking for the Huey concert? Considering the road construction and RAGBRAI, will there be shuttle services? Any of the downtown parking ramps will accommodate parking. The trolley will be running downtown Saturday. We are not from Sioux City so where would we go to get on to the trolley that will be running on Saturday to take us to the concert area at the Tyson? The shuttles will make regular stops in each campground. On July 19, 2015, RAGBRAI® will take off for a week-long trek across Iowa, leaving from Sioux City. This year's theme is "Party like its 1973." The first ride started here in 1973, and this is the 7th time we've hosted the nation's largest recreational ride. RAGBRAI® will start its journey in Sioux City on Saturday, July 18th, with a kick-off party hosted at the Tyson Events Center, featuring Huey Lewis & The News. Click to read more about this and our sponsors.